One may claim that the modern history of a nation begins with its constitution. The eighteenth century was the period in which several nations constructed their constitutions: The United States in 1787-1789, France and Poland in 1791. 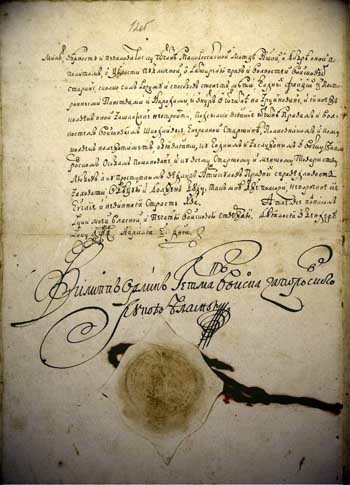 Ukraine led in this respect, with a constitution in 1710 that was written by Pylyp Orlyk - the first Ukrainian Hetman in-exile, who headed the powerful Ukrainian political emigration in Western Europe. 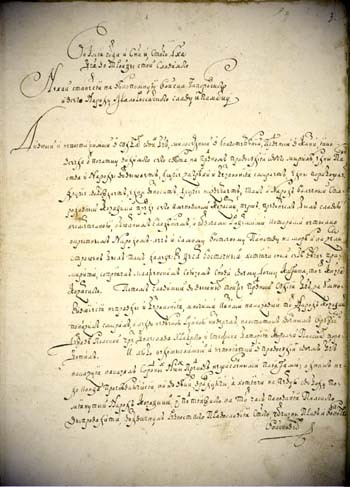 Pylyp Orlyk (1672 – 1742) - a Cossack noble and Hetman (leader) was the chief author of the 1710 Bendery Constitution. This was the first document in the world to establish a democratic standard for the separation of powers in government between the legislative, executive, and judiciary branches. The Constitution also limited the executive authority of the Hetman and established a democratically elected Cossack parliament called the General Council. Predating the classic example of an expression of democratic polity – the American Constitution by over 65 years, the Orlyk Constitution testifies to the long-standing traditions of democracy in Ukraine. 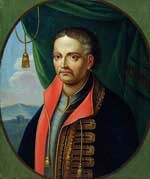 Pylyp Orlyk was elected Hetman of Ukraine on April 5, 1710 in Benedery (present day Moldavia). 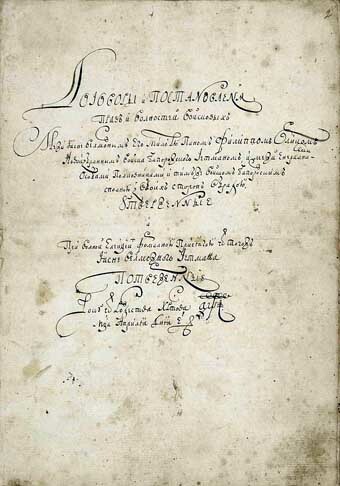 The election day was important for Orlyk for rwo reasons: Cossack Council approved his work “Pact and Constitution of Rights and Freedoms of the Cossack Army”. It was the first written political and legal document that affirmed basic rights and regulations to the people of the Ukrainian state. The constitution of Ukraine on its acceptance recognised at once the governments of Sweden and Turkey. After the restoration of Ukraine’s political independence in 1991, the Orlyk Constitution acquired the status of a monument of Ukrainian philosophical and legal thought, but its grandeur remains little known and inadequately appreciated by the public, even by those who regard themselves as members of the “Ukrainian elite.” Nevertheless, Pylyp Orlyk went down in history of Ukraine as the last Hetman, who openly strived for the establishment of the Ukrainian state. He faithfully served Ukraine his entire life and multiplied its glory.